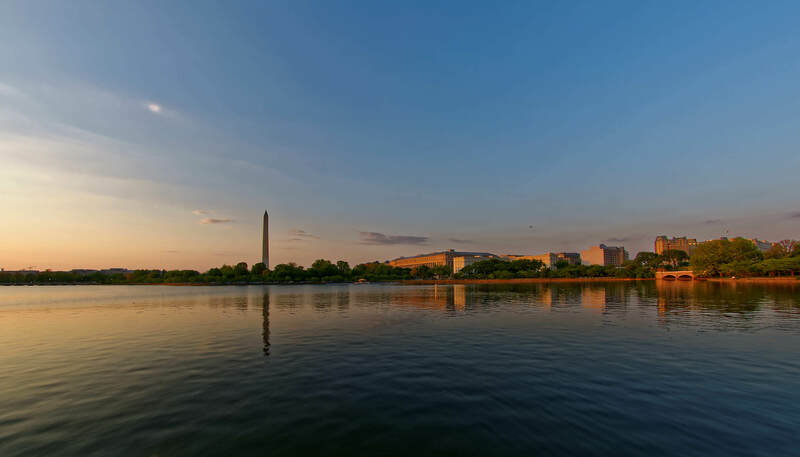 Directions: Take the subway to the Smithsonian Metro stop, it is the closest to the National Mall area. The National Mall area remains very active from dusk to after dark, with many visitors enjoying the views of the memorials and surroundings well into the night. It is a great time for photography as well with the warmer colours and low angle of the setting sun, backlighting opportunities, and shadow play. 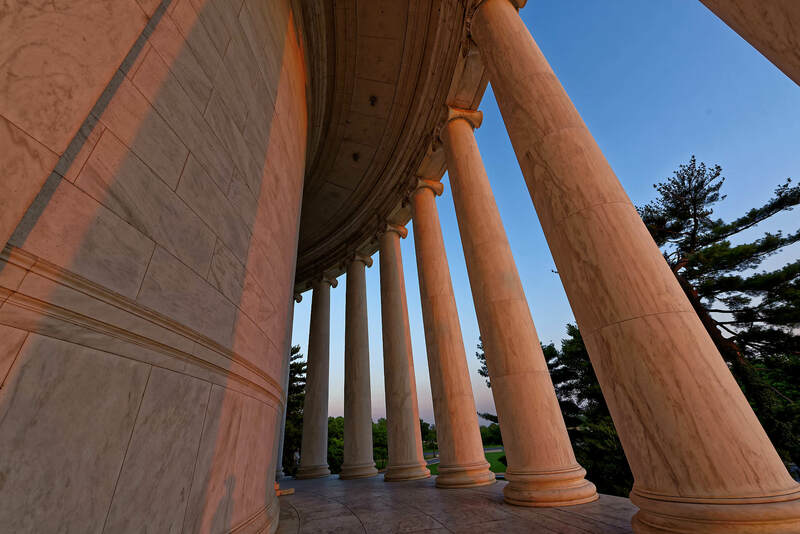 The featured image was taken at the west side of the Jefferson Memorial – the warm light revealing the detail in the stone construction. 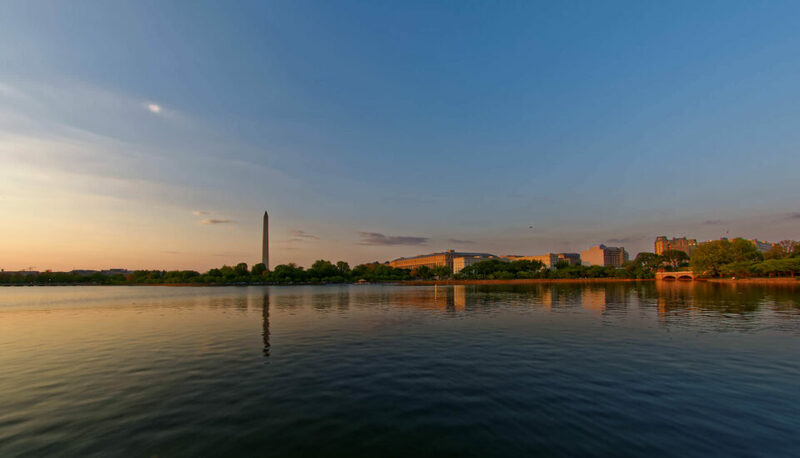 The next photo is looking north from the Jefferson, across the Tidal Basin. Then an image from the east side of the Jefferson. 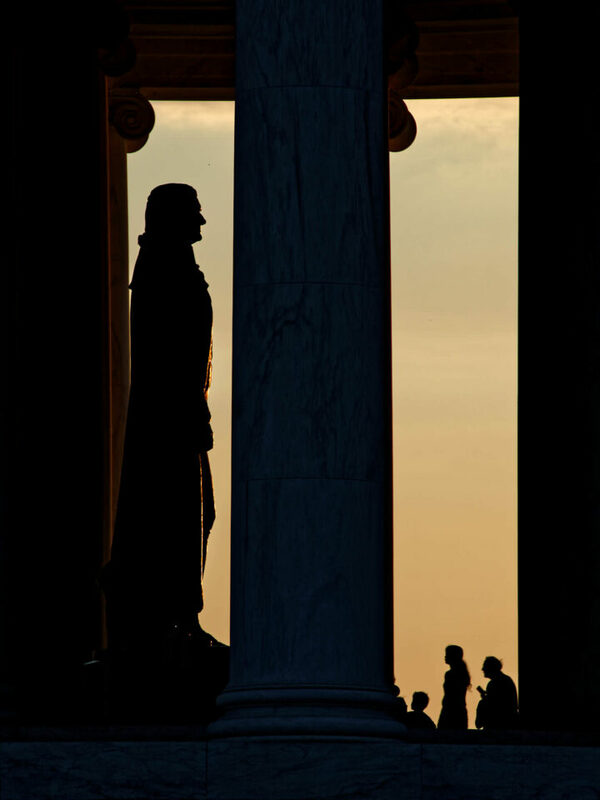 Silhouettes are generated by the setting sun of just some of the visitors coming to pay respect and of the profile of the great statue housed in the monument. 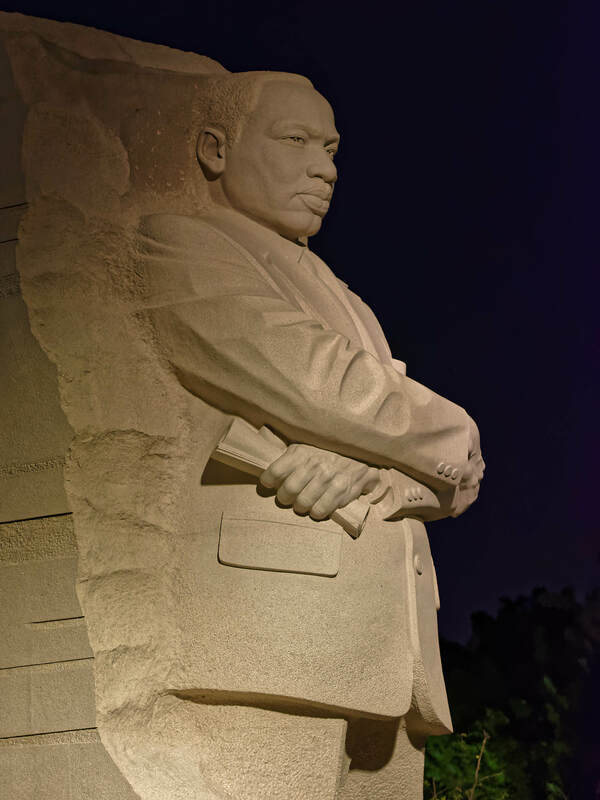 The Martin Luther King Jr. Memorial is particularly striking at night as seen in the fourth photo in the series. 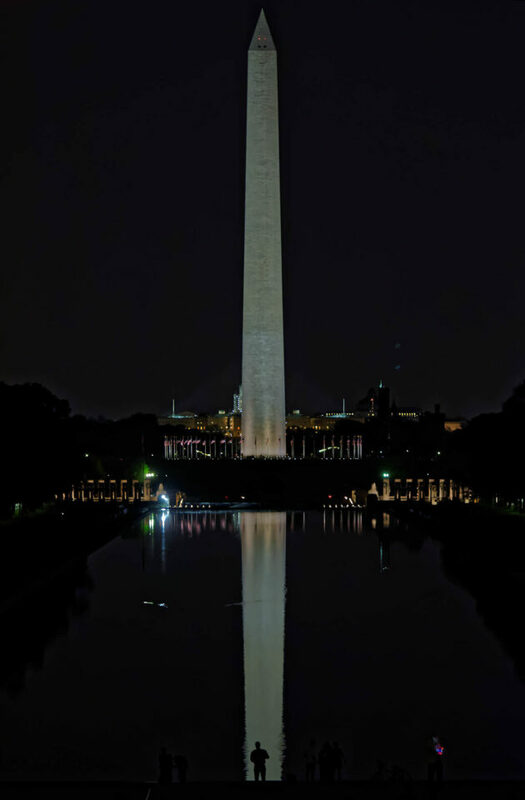 Finally from the steps of the Lincoln Memorial, one of the many visitors to the National Mall that evening is caught in silhouette in front of the Reflecting Pool, by the lights of the Washington Monument.